This is the time of the year when I pack my bags and anxiously count the days to go to India and meet my family. Though I visit India every year but still each time its the same experience...nostalgic. And it's the same for them also...my parents, brother and my in- laws all anxiously wait for us to arrive and spend some days with their beloved grand child. My daughter will be spoilt with all the love, affection and how to forget..so many gifts as well. After coming back it becomes a great task for me to arrange her cupboard with the goodies she gets from her thathas, paatis and maama. And before going I have to do multitude of tasks...shopping, packing and cleaning my pantry, cupboards etc, and again I am finding myself short of time. I am also not able to feed my blog baby regularly and the cooking is also minimal in my kitchen, just using up what all is left in my pantry and still trying to eat healthy. I had some semolina left and I was looking for some different way to use it up...just a bit fed up of eating upma....have to say~sorry dear upma but I need a change. I came across this recipe in Anjali's blog and was instantly hooked on it. I made very few changes to the original recipe and within 30 minutes I had delicious slices of healthy and sweet steamed semolina and carrot cake...absolutely ~ guilt free. Grease a round dish with 1 tsp ghee to steam the cake and keep aside. Dry roast semolina in low heat till slight golden brown in colour. Set aside to cool. In another big bowl combine all the ingredients and whisk till the sugar dissolves. Transfer the batter to the greased dish and steam on high in a pressure cooker ( without the whistle) for 20-25 minutes or till a toothpick inserted in the centre of the cake comes out clean. Once cool invert the cake onto a plate, and serve by cutting in slices. I love love carrot cake!! May be I should try this out. Very easy and looks perfect! Sounds interesting and tempting.. looks super soft.. Thanks for sharing dear !! happy vacations! the steamed cake looks lovely! Ofourse one can treat oneself without any guilt. 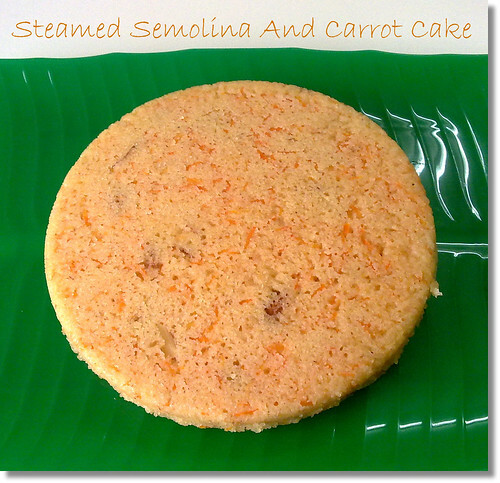 wonderful steamed semolina cake. Sounds easy too. THanks for sharing the recipe, Raji. Will give it a try and let you know. Wish you all a happy journey and great time in India. This looks light and fluffy and a very different way to cook semolina. I can imagine your excitement, I am planning to travel in Nov ..long way for me:) have fun out there ! The carrots have given a nice color to the cake...The slice looks perfect. That's a wonderful recipe Raji....loved this simple and yet flavourful cake...that too without a oven...bookmarking it..
wow awesome cooker cake i am in totally love with it !!Superb!! Love that wonderful texture,cake looks absolutely marvellous..
Easy & awesome recipe dear!!! perfectly made cake !! and looks so wonderful !! nice to see u after a long time. It is difficult for us to come back to routine after a nice holiday. This looks super delicious. Perfectly steamed. So you are also planning on a vacation to India. ENJOY every bit of it Dear. wow it came out really perfect!! 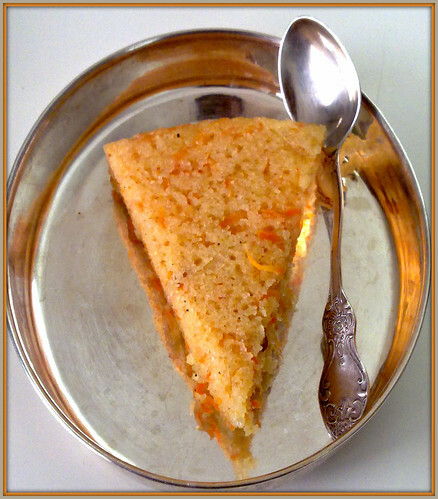 Wonderful semolina cake. Nice way to use the semolina other than upma. this is very new to me..the cake looks so perfect and tempting.. This is awesome! Just the way I like it..Surely would be steaming this cake asap!! wow! Looks so soft and moist!! Love that wonderful texture,cake looks absolutely marvelous..
Looks superb! I always go for eggless baking! Oh yeah, me too can't wait to get away from this scorching heat and hit the shore our homeland and get drenched in the rain! I love the sound of this guilt free dessert - YUM! I think this is a healthier alternative to the calorie lades cakes. Must try. 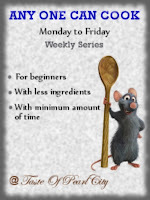 Hi Dear, Your recipe got featured in this week Any One Can Cook, Congratulations! Cake looks perfect and yummy... sounds interesting and looks delicious. Wow, that cake looks so soft, healthy and delicious to the core..nice and interesting recipe..
Awesome,love the texture,think rawa does the magic and colour is awesome from carrot! very different.. would love to try.. Very interesting..... I'm going to try it out today and let you know the outcome! 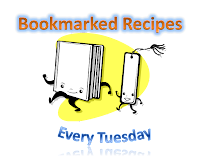 I like your blog, very creatively done! 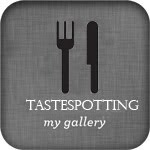 Kudos to your efforts, you do make cooking so very easy, exciting and fulfilling.